Sriharikota, Jan 25: The most awaited mission is accomplished with the Launch of PSLV-C44. The Indian Space Research Organization’s Polar Satellite Launch Vehicle (PSLV) fired off from the first Launch Pad of Satish Dhawan Space Centre at 11.37 pm at the end of a 28-hour countdown on Thursday. On this occasion of the launch of Kalamsat, student’s satellite, the chairman ISRO, Dr. k Sivan said, “ISRO is open to all the students of India. Bring us your satellites and we will launch it for you. Let’s make India into space fairing nation”. 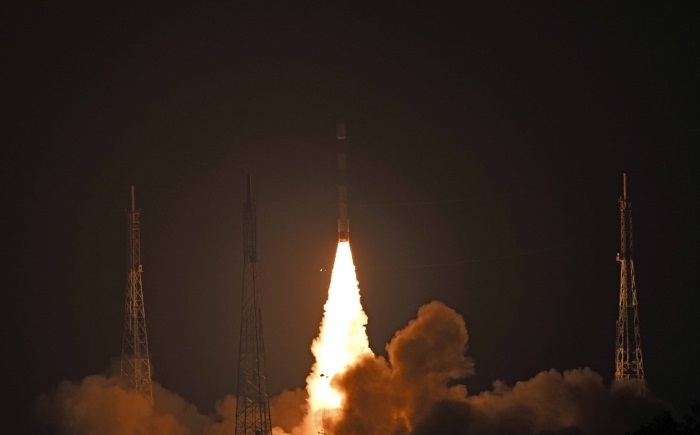 Precisely on time, the 44-meter tall, four stage PSLV C44 flew into the clear and starry night sky splendidly and injected the 740 kg Microsat-R, military satellite into an orbit within 13 minutes and 30 seconds. With the Microsat-R, the ‘Kalamsat’, the satellite created by college students and members of Chennai based organization-Space Kidz India- launched yesterday. The Kalamsat is the first to use PS4 (the 4th stage of the vehicle) as a platform to orbit around the earth. Both the satellites weigh around one kilogram. With this launch, India also becomes the first country to use the fourth stage space rocket as an orbital platform for microgravity experiments. The launch marks first mission for ISRO in 2019. Contributed by college students and the members of a Chennai-based organization -- Space Kidz India -- Kalamsat is the first to use PS4 (the fourth stage of the vehicle) as a platform to orbit around the earth. “We have been working on the project for over six years now. These students are from various backgrounds and the youngest one is studying BSc Physics”, said Space Kid CEO Srimathy Kesan. The PSLV, basically a four-stage vehicle with alternating solid and liquid stages, has launched 54 Indian and 269 satellites of international customers.